Detroit police are investigating why a murder suspect had to turn himself twice before he was arrested. The 36-year-old man walked into a fire station two hours after he allegedly shot four people at a party early Saturday morning, police said in a statement. Two of the victims died, while the other two were seriously wounded, police said. The suspect, who was not identified, told firefighters at 3:20 a.m. Saturday that he was connected to the shootings, police said. 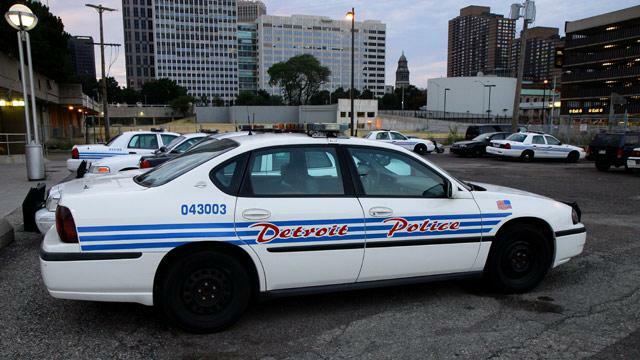 Fire fighters called the Detroit Police Department, but they were told all available officers were on high priority runs and that no one would be able to be dispatched to the station, ABC News affiliate WXYZ-TV in Detroit reported. The suspect left the fire station and went to a police station where he was taken into custody. Police Chief Ralph Godbee said the department would conduct an administrative investigation to determine whether the situation was handled appropriately. "Every effort to ensure that this person was taken into police custody should have occurred. Therefore an administrative investigation will be conducted to determine if this police run was handled appropriately and to ascertain if there were any other patrol resources which should have been made available to respond to the Detroit Fire Engine Quarters," Godbee said. A message left by ABCNews.com with the Detroit police was not immediately returned.